Component Library | Adsystech Inc.
AESenginuity provides a complete suite of information and service components for the development of enterprise information management applications. 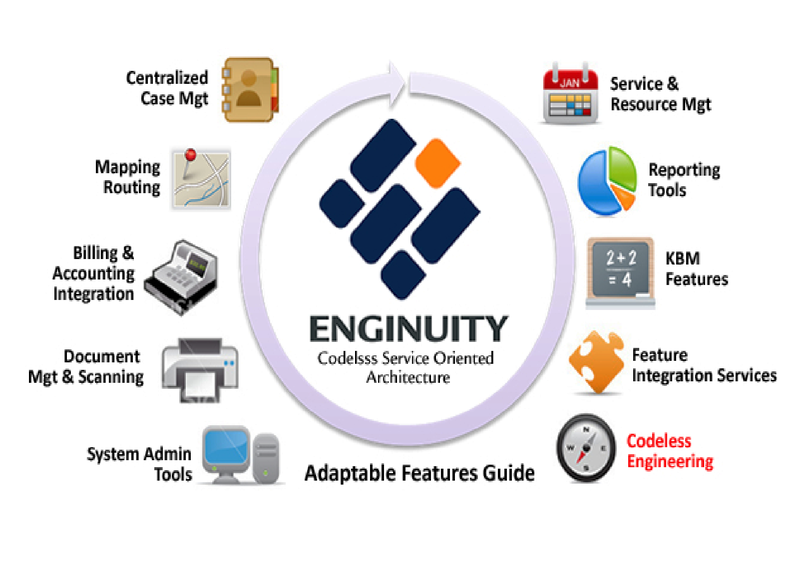 Applications in the Enginuity system are assembled in the Enginuity Library Editor and the Domain Designer - that dramatically simplify the develop and configuration of Service Application in a secure and flexible Enterprise Solution. Adsystech is building new application component and enhancing exisitng apps - contact Adsystech to learn about the lasted development efforts! Developers can incorporate any .net compliant app (built in VB.net, C#, or any MS supported language) using Visual Studio .NET and the Enginuity ODBC DBMS tools. New Applications are registered to the System Framework and the logic, data, security, parameters are incorporated into the Assembly Engine; that are now managed and editable in the the Library IDE. This means Enginuity is a true Rapid Development System - initial implementation become full operational in dramatically less time than other off the shelf EIMS and SOA solutions!